TOYOTA Racing is making waves before the 2014 FIA World Endurance Championship season even gets underway. With the reveal of the TS040 HYBRID race car, Toyota is charging into the future of hybrid motorsports with nearly 1000 horsepower. 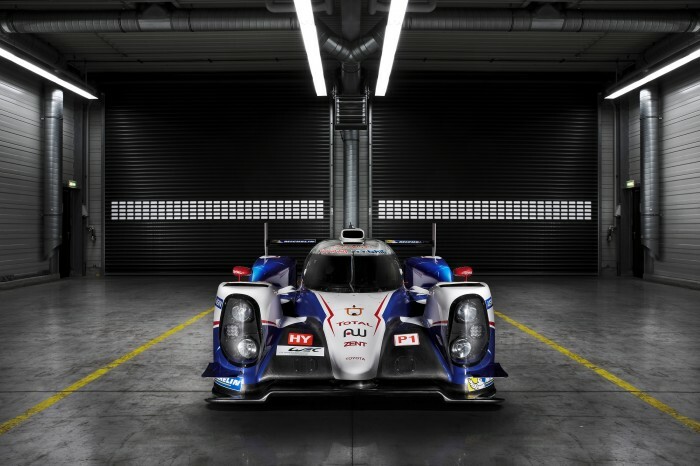 The TOYOTA HYBRID System – Racing powertrain at the heart of the TS040 HYBRID was developed with new World Endurance Championship (WEC) regulations and an increased emphasis on fuel efficiency at heart. According to the new WEC regulations, all vehicles must reduce fuel consumption by at least 25 percent through revised powertrain tech, aerodynamics, and driving techniques. The TS040 HYBRID will utilize regenerative braking in order to store energy in a super capacitor, and it will be aided considerably by an all-wheel-drive platform. The prototype utilizes a 513 horsepower 3.7-liter V8 and a quartet of electric motors to power each wheel independently. PC Mag noted that the announcement of the TS040 HYBRID is significant particularly for its projected similarity to the powertrain that will support the BMW/Toyota sports car venture that could possibly (fingers crossed) result in the new Supra. The TS040 debuted on-track on January 21 and has since undergone a considerable amount of testing ahead of its competition debut at Six Hours of Silverstone April 20, where it will test its mettle against Audi and Porsche for the first time. Stay tuned for the latest!